서버 담당자에게 아래와 같은 메일이 도착 했습니다. After looking over your concern, I’ve included some helpful resources that may be of use to you. We would like to inform you that, your Server is accessible, as well as your cPanel. Moreover, you have activated your Firewalld Service on your Server, therefore, we have added cPanel accessing Port to Firewalld. Please check the attached screenshot. 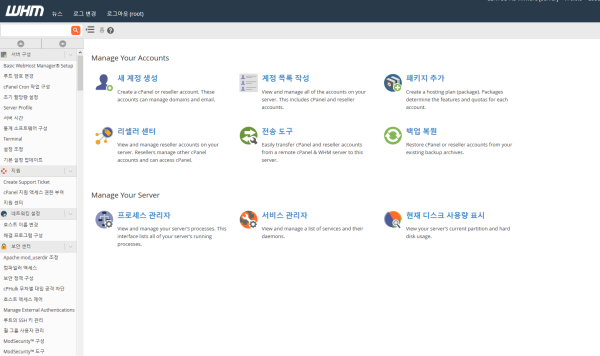 Cpanel 과 방화벽 문제를 해결하고 정상 접속이 이루어지고 있다는 답변을 받았습니다. 서버는 정상복구 되었다는데 혹시 모를 사태에 대비해서 미리 백업파일을 다운로드 했습니다. 현재 백업파일은 2018-11-19 자 파일을 보관중입니다. 또 접속불능과 같은 사태가 벌어지면 바로 서버 셋업과 사이트 이전을 시행 하겠습니다. 서버가 복구되어 다행이고 소중한 백업파일을 무사히 다운로드해서 그나마 위안이 됩니다. 나누미호스트 서버 사용에 여러모로 불편을 드려 송구스럽고 죄송합니다. 몇날 몇일이 걸리긴해도 해결은 해주네요.